This typical Tirolean chalet, converted from an old farmhouse, occupies a lovely sunny location, in an elevated position, on the outskirts of St. Anton. The ski bus stops directly outside, providing an excellent free service to the lifts and village centre. The accommodation is simple but comfortable, with spacious bedrooms and a separate lounge and dining room. Chalet Schlosshof - sleeps 18-20 (room numbers shown in brackets): 10 bedrooms. Ground floor: Two twins (1 & 2) and one triple bedroom (3), all with washbasin; two shower rooms with WC. First floor: Dining room and living room; two twin bedrooms with washbasins (4 & 5 - can be noisy, reduction of £10 per person per week); two separate shower rooms with WC. Second floor: Two single rooms (6 & 7); one twin bedroom with en suite bath (8); one triple (9) and one twin bedroom (10) (all with washbasin); one shower room with one showers and a separate WC. 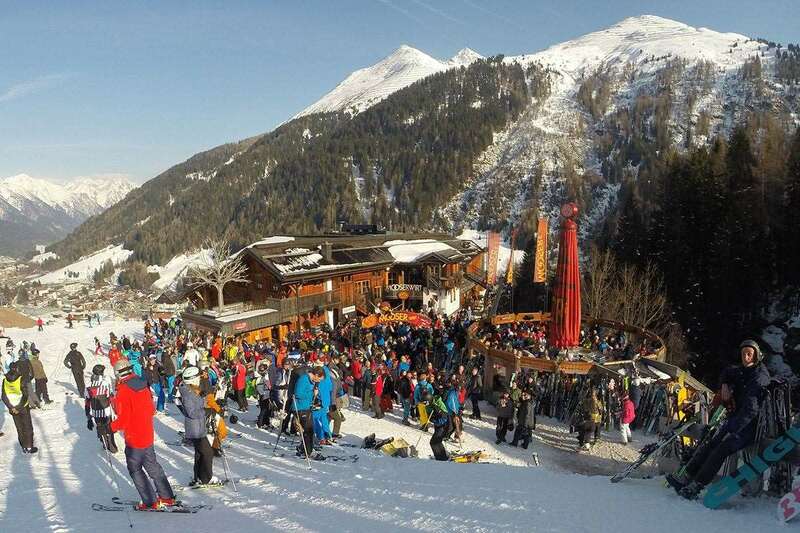 Please note: The chalet has no lift; Children under 12 only accepted in school holidays (Christmas, New Year, 14 Feb, Easter) or if the whole chalet is occupied by one group.